I’m noticing a trend and I don’t like it. 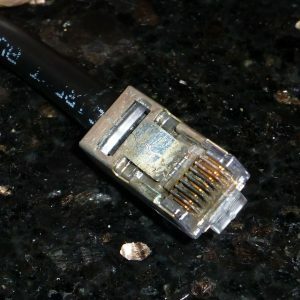 You see that nice, metal wrapped RJ-45 connector in the picture? It’s junk now, corroded and unusable. It’s sitting on the counter in my galley clipped off the Winegard Connect 4G1xM I’m starting to test. I believe this is because of the cabling approach Winegard has used on this otherwise very well designed piece of hardware and Winegard isn’t alone. 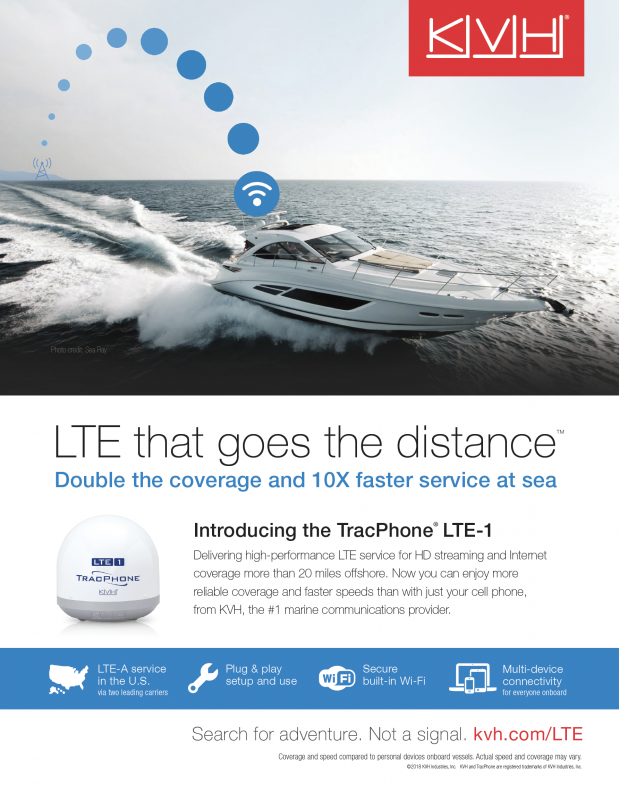 As promised in my recent marine internet article, I’m getting started testing WiFi and 4g internet connectivity devices. 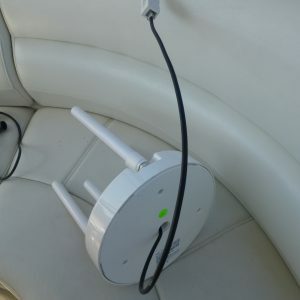 So far today I’ve spent about an hour dealing with corroded connectors and devices with cabling arrangements that don’t work with my 1″ 14 antenna mounts. It seems the recent devices I’ve received are using a different approach than the well-protected connectors of Ubiquiti Bullet based hardware. 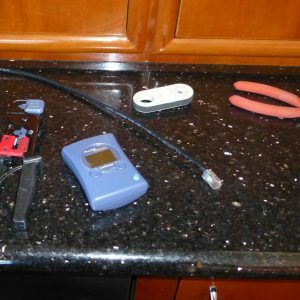 Both the Shakespeare WebWatch and Winegard Connect have fixed RJ-45 ends, and Shakespeare adds RG-59 and a 12v power lead, coming out of the center of their 1″ 14 female threads. That decision leads to a couple of potential issues. 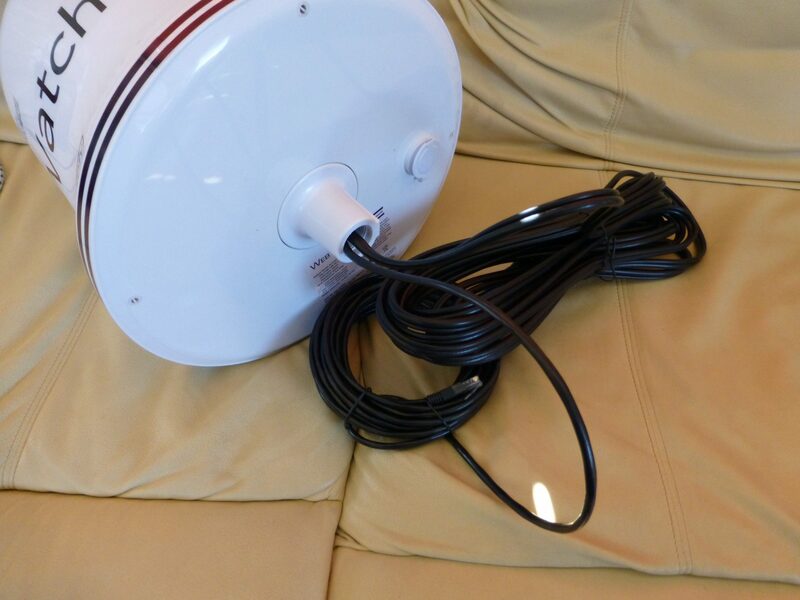 Firstly, you have to fit the larger ends of those cables, not just the cables, through an antenna base. The second issue is different for each product. 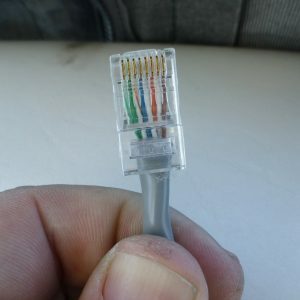 Shakespeare gives you a nice long cable, but this means you now have to feed that nice long cable through your boat and to the interior connection point. On my boat that would mean going through the hardtop and down the port-side hardtop to a raceway that leads to the salon. Those cable paths are all quite crowded and there’s no chance of feeding a cable with a blocky connector on the end. So, I cut it right off and fed it. That’s not a problem for me, I always have termination equipment for RJ-45 (and a lot of other cable types) on board. I’ve been told I’m not normal many times in my life and I suspect this is more proof. I don’t think most people keep these tools around. 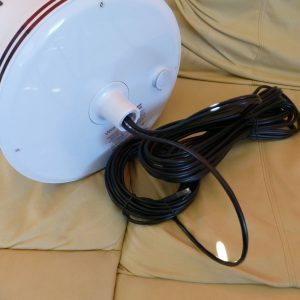 Winegard solves the problem of feeding that long cable through by giving you a short Cat-5e pigtail out the bottom of the Connect and includes a longer cable and RJ-45 coupler. 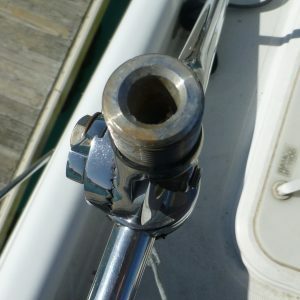 The trouble with this approach, and you can see the proof above, is that now you either have an exposed connection or the challenge of trying to get that short pigtail through the exterior of the boat and the connection made somewhere you can get your hands in within about 18″ of the mount. Now let’s contrast this with how the Ubiquiti Bullets I’ve been using make their connections. Every Bullet and Bullet like product I’ve seen has a female RJ-45 jack on the bottom with a pretty good facility for weather protection designed into the unit. The third picture above is the connector on the end of the cable that has been in the pictured bullet for over two years and 7,000 miles, most of it in salt water. The tradeoff here is that the Bullets don’t support 1″ 14 mounts, so you have to find another way to mount them. 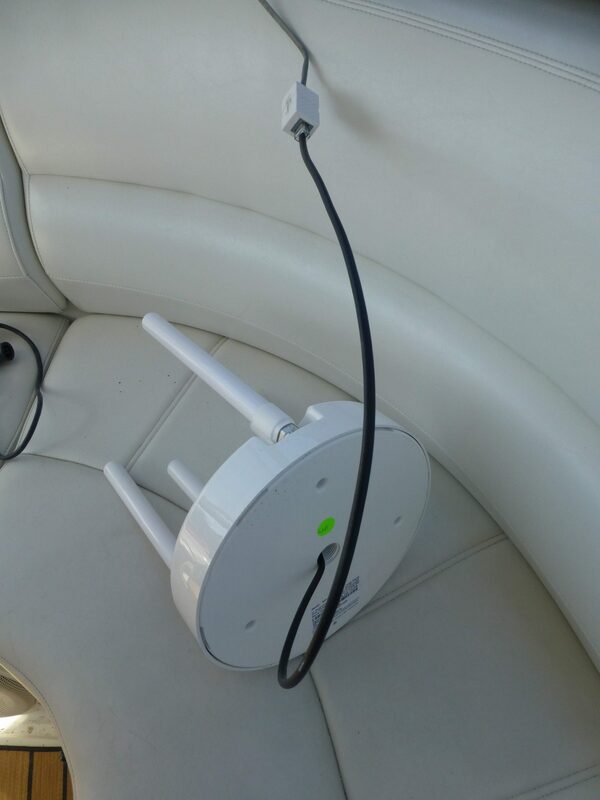 Both Wave WiFi and Aigean Networks now offer Bullet form factor devices with 1″ 14 mounts and excellent weather protection. I’m not aware of any combination WiFi and 4g devices that offer both. 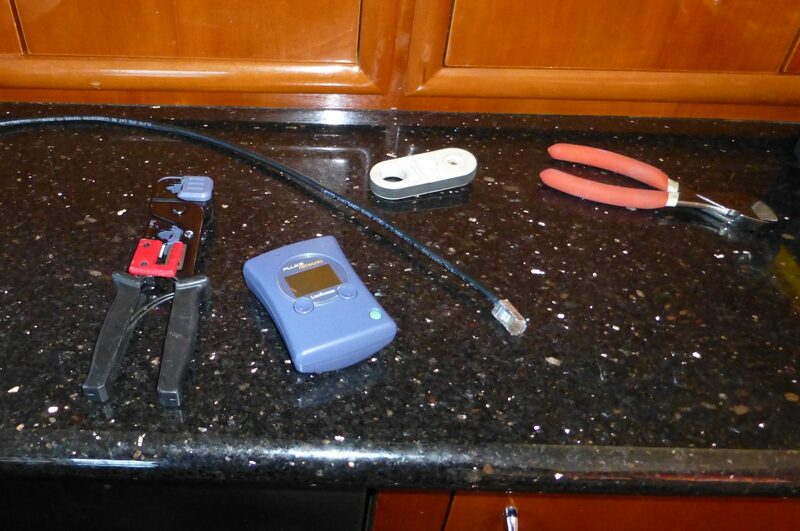 Those are the three connectors from the Winegard setup after about a month on the top rear deck of my boat, with the boat in fresh water. 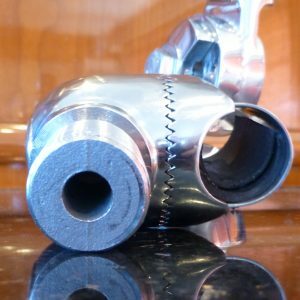 It’s a big difference and a legitimate challenge for manufacturers. 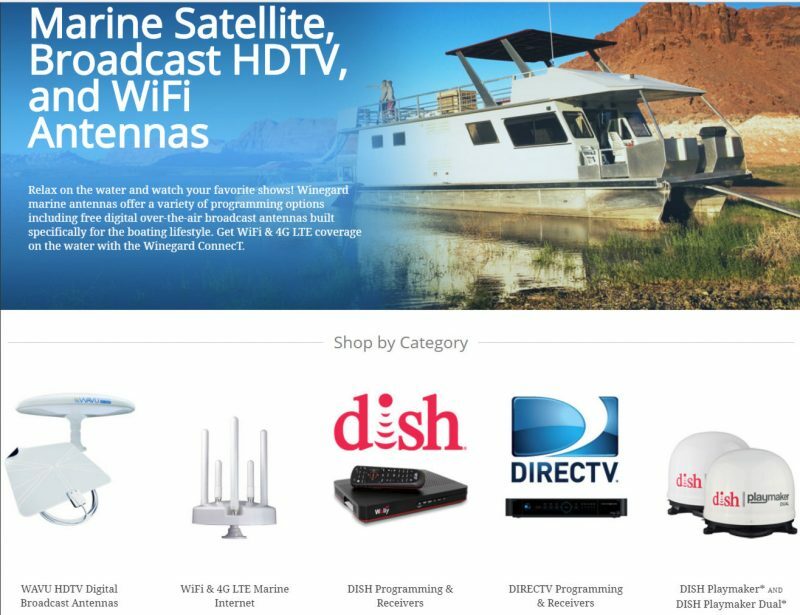 None of the ethernet standards were dreamed up with the marine market in mind and our conditions do present some challenges, but some manufacturers seem to have figured it out better than others. 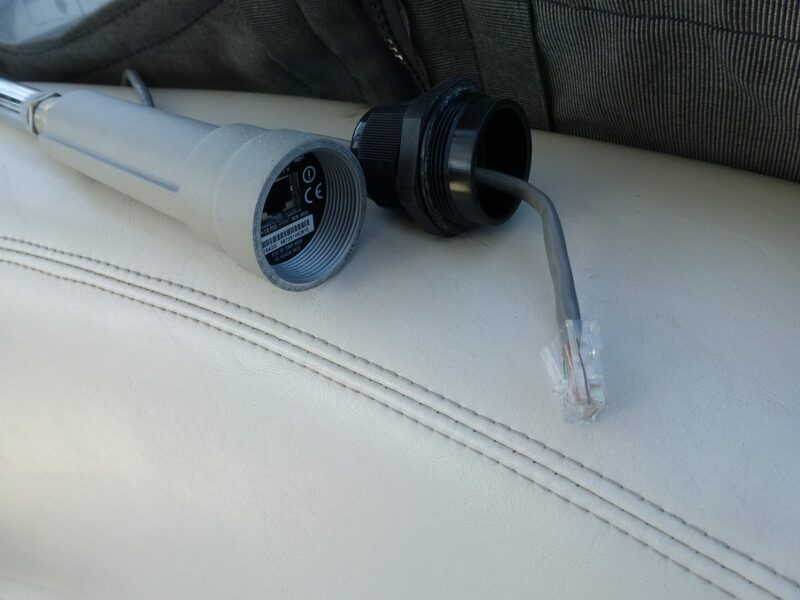 There’s a reason that none of the MFD manufacturers use exposed RJ-45 connectors on their products and that Flir went to the effort of providing the nice weatherproof splice Ben Ellison mentions in his Flir M series testing article. The manufacturers of these communications devices have some different challenges, but could take the lessons and provide more weatherproof splice enclosures. Lastly, here’s a visual illustration of the challenge running the pigtails off these devices through a 1″ 14 mount. 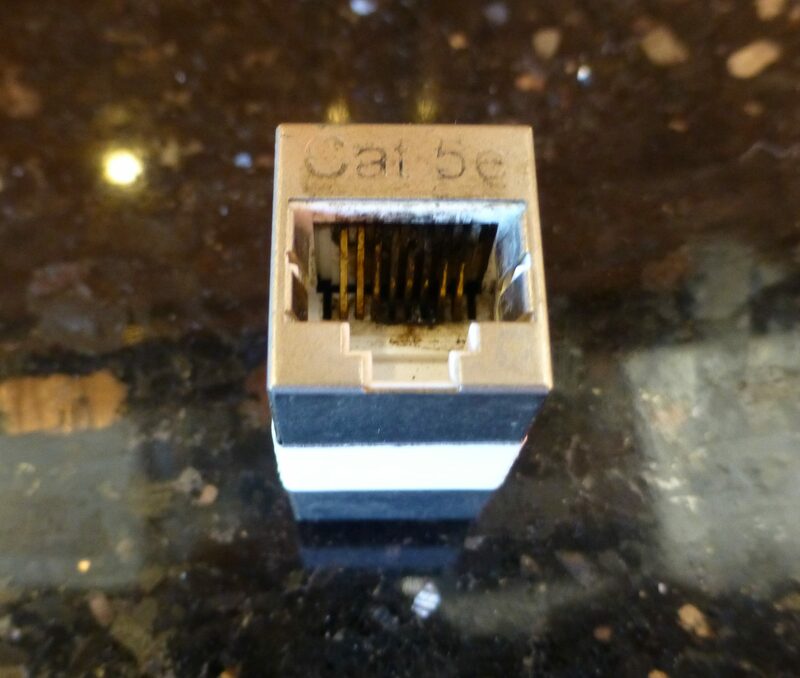 Only the first mount pictured, a Shakespeare 4188, allows an already terminated RJ-45 end to be fed through. The other two both require clipping and putting a new end on. Maybe I’m just a little grumpy because I thought I’d get to play with the new devices and instead I just got to clip cables and crimp ends. 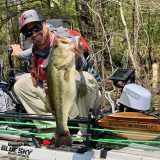 Nice writeup Ben. 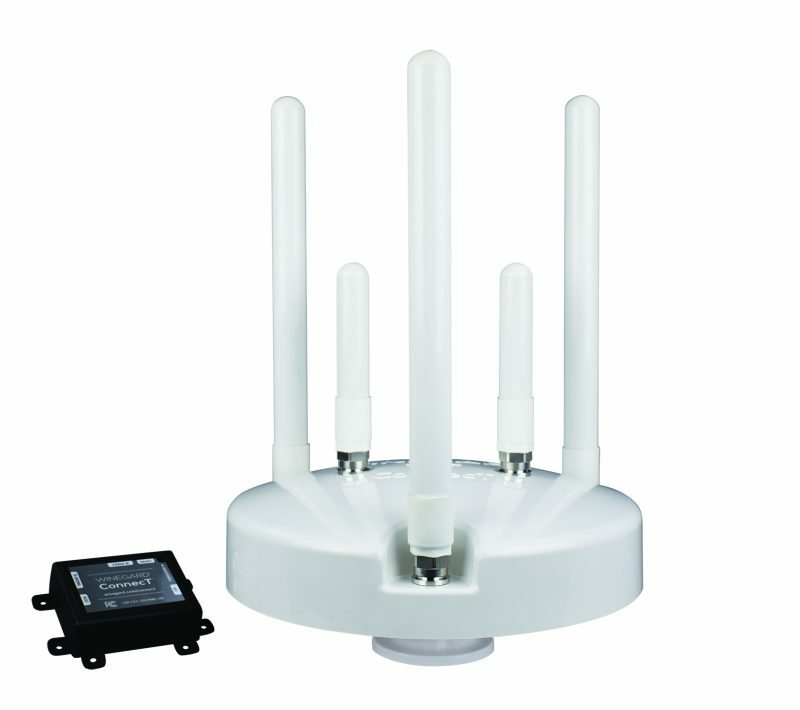 I also prefer the gland type connection offered by the Ubiquiti Bullet setup. 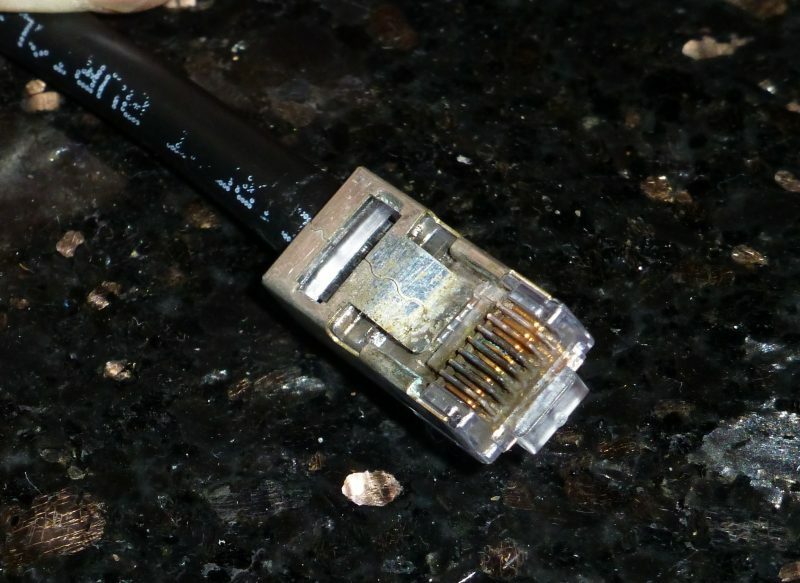 But for the other unprotected RJ45 connections, would a dab of dielectric grease have helped stave off the corrosion? 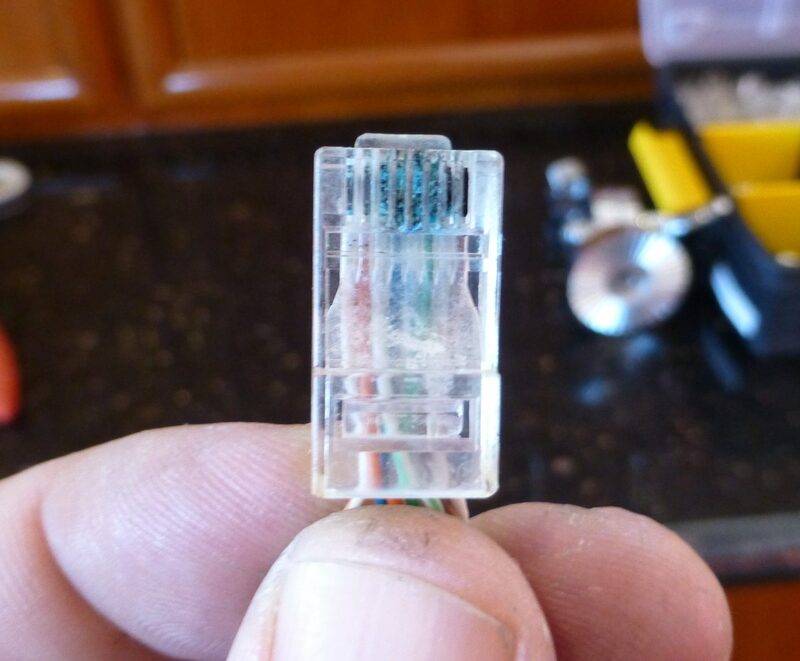 Dielectric grease would probably have helped the pins themselves some but the reality is the RJ-45 Cat5e coupler included isn’t water resistant at all so I suspect the main thing dielectric grease would have done is move the corrosion to another point in the coupler. There’s a good chance that would have been somewhere harder to see. Sorry for your pain, Ben, but I’m also wondering about what happens with the Shakespeare WebWatch when you screw it into a 1-inch mount? 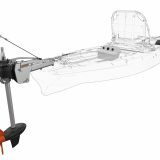 Unless I’m misunderstanding something you will either have to do this with all the cables unrun and bundled so they can turn too, or by turning the mount itself and fastening it to the boat afterwards. Otherwise won’t the cables get twisted and possibly damaged? 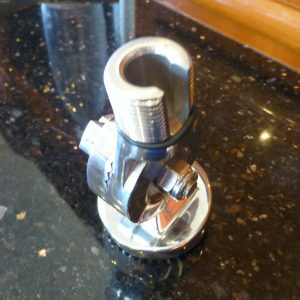 Taking the mount apart, screwing everything together then re-assembling the mount does work, albeit with some risk if performed over the water 🙂 You can also get set-screw ends for 1″ SS tubing. 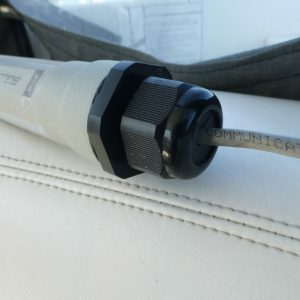 FME connectors are the only ones I’ve encountered that are useful for fishing – but I’m not sure if any manufacturers use them. I suspect the specialized tools and skills required for re-installing connectors is why most manufacturers tell you to “consult a professional installer” (I think I see Bill Bishop nodding here). 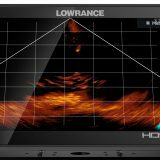 You’re no doubt correct that the long bundle of cable on the Shakespeare WebWatch will present another installation challenge. I had been thinking I’d use Hartley’s approach of disassembling the mount in order to thread it on. I noted that and thought it was a little frustrating but didn’t mention it at the risk of sounding like I was whining. 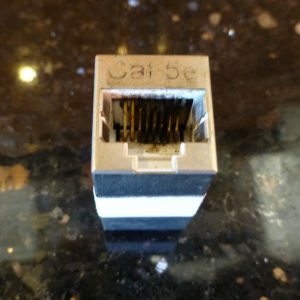 Besides using a nice beefy gland that’ll pass an RJ45 connector, the Bullet uses power-over-ethernet. That means there only cable passing through the gland is the ethernet cable, making it much, much easier to achieve a watertight seal. As soon as you pass more than once cable through an opening you compromise its ability to keep the water out. The only way I’ve been able to (sort of) solve it is to embed the bundle in butyl tape where it passes through the gland. Thankfully Winegard also does use POE. The same 24v passive POE employed on the Ubiquiti Bullets which also means I can use the Ubiquiti EdgeRouter to supply POE and avoid another power connection. 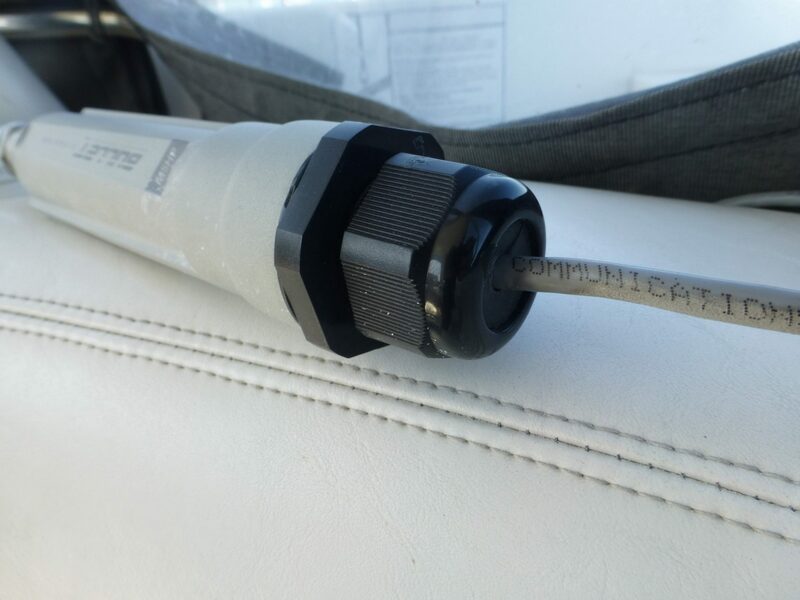 Out of curiosity, I looked up IEC 61162-450 standard for ethernet used on maritime radio communications and navigation equipment, and saw they require connectors and cables meet IEC’s maritime environmental standard for protected equipment, e.g. “Four periods of seven days at 40 °C with 90 % – 95 % relative humidity after 2 h salt spray”. For exposed environments they recommend M12-type. At work (industrial automation) we only use M12 connectors for mechanical strength and corrosion resistance. 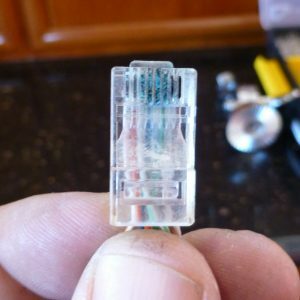 Connectors are relatively cheap, I wonder why anyone would use anything else when there is salt water nearby. Best quality brand is Phoenix Contact, even using those for every connector onboard you are still only talking relatively low expense, it is only so many connectors after all. 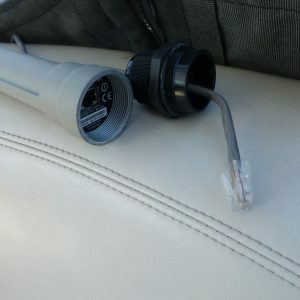 Problem of course is device fixed connectors, but for a cable end it is easy to change a M12 connector, they are available both in male and female. 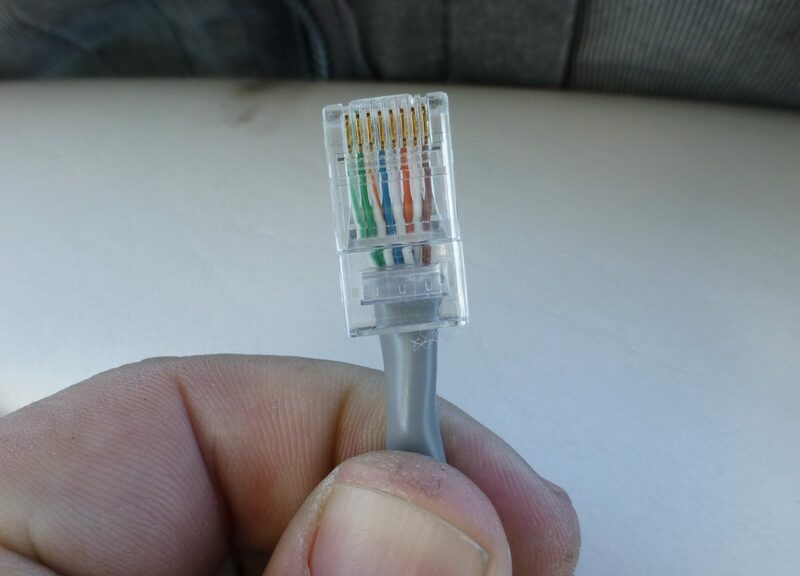 Ben, I’m wondering what sort of ethernet cable you’d recommend for onboard cabling?  I have been looking for a stranded (for flexibility) external grade (for water and uv resistance) cable, but cannot find anything. Seems like its either or. I believe the outdoor graded cable is significantly more important than stranded versus solid conductors. While I do believe in larger wires stranded is very important the small size of the individual solid conductors in Cat5/6 make it less critical in my opinion. Additionally, solid conductors give a better surface for the pins to be crimped down and against. Another mitigation against potential fatigue of the conductor is to support the cable well, especially at the point of any connections.